Merry Christmas to all and my Christmas will be when I get settled in my new place in south Carolina in three months , yes count them three months ...Im tickled pink and cannot wait ...LOL nice warmth and just to think when we leave here it will still be a lil chill in the air but it will be warm where we are going yeah !!!! I found this little gem in the thrift store a couple of days ago and it winds up at the bottom and the bird actually chirps it is so sweet I have to wind it every day to hear it . Being as I have had to re home my birds three years ago due to a severe allergy which almost resulted in my demise , this is a cute option for those of us who are allergic to caged pet birds . another plus is you don't have to feed it or clean up after it . I love it and it is so cute . well just thought I would share this with all of my readers . take care all and stay safe .the cold and flu is running rampant in my part of the country so remember to wash your hands like a fiend folks . Yes Im doing something a lil different today and I hope you all will feel free to make these and come back after you do and leave a comment on how well you liked them or if you did not like them . 1 cup butter softened , 1/2 c white sugar ,1 tsp vanilla , 2 c flour , 1/2 c chopped pecans (optional ),1 and 1/2 cups crushed potatoe chips (you need to crush with a rolling pin ). small amount of powdered sugar . Preheat oven to 350. cream butter and sugar until lemon colored . Stir in all other ingredients and combine well .Roll into small balls and place on lightly buttered cookie sheet . Flatten balls with bottom of glass. Dip in powdered sugar to prevent sticking .Bake 15 minutes until light brown . Let cool when cooled store in a tuperware . Enjoy !!! This book is an absoloute must have for reference if you are a letter writer . I found some very helpful information and found myself doing some no nos in my personal correspondence as well . so even if you have been writing for years you may still find this book a helpful reference and I got it for a penny off of amazon . It is truly a must have .If you have any questions about this book please ask . as always my dear readers until next time take care and get out there and make a difference . Forgive me readers if I go off track a lil bit today . Normally I don't use this blog as a political sounding board but today if you will bear with me will be a little different . You don't have to agree with my politics , few do . But if you feel like commenting please do so all I ask is that you be respectful of my opinion . In other words NO CUSSING at me because you don't agree with me . Now I was watching CNN last night which I hardly ever do but one commentator said that 50% of the news are predicting a republican sweep of both the house and senate and we have no one to blame except Obama . He has made such a mess of the democratic side that people now want to give the republicans back the chance to set this country back on the right track . Just a personal opinion here but I think it will take a lot of years to put this country back on track be it republican or democrat , man or woman . I myself would like to see a woman become president yes women are still considered a minority in this country , which is a whole other matter entirely best left for another post . My point being that most people seeing that the whole political world in this country is going to vote republic this time which means quite an upset for the whole democratic agenda . Also want to add that most likely it will be some time before a minority will fill the seat again if ever okay fellow readers , just my two cents . Have a wonderful day and get out and vote ...Im off to do so myself . More mail art yeah !!!! More mail art going out to a pen pal I hope they enjoy receiving these as much as I enjoy drawing and creating them . I would hate to think that they pay little attention to them and I also like thinking that the postal workers like my art as well at least I hope I make their day a little nicer ...Oh well not much else to write about or blog about rather . Okay here we go . Got this yesterday in the mail and it is the Lamy safari knockoff from Jinhao . It is called the Jinhao T1 shooter series and I must say it is a nice pen , writes well and is very light . I was impressed and for the money you cannot go wrong I paid all of 3.69 dollars for it . Yes you read that right three dollars and sixty nine cents for it . For the money you cannot go wrong with this pen and I like it . It write well there is no scratchiness on paper etc . I really cannot say enough nice things about it . Yes , yes I know how some pen people say Lamy got ripped but I don't think so cause there are enough differences in this pen and the Lamy safari series to see the difference . But really for some of us who cannot spend 200 + on a fountain pen it is a really nice pen to add to the collection . And as for me personally I would be sick to think that I had lost a 200 + dollar pen . At 3.69 I could afford to replace this pen if ever lost and that is pretty nice sense of confidence to me . Well just my two cents for the day . Just thought I would post my mail art and let you all have a look and see what you think ....so here goes . Do you like to read followers ? 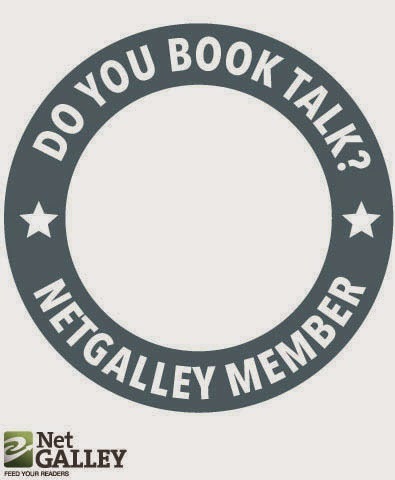 Hi all , writing to you all today from a wet and rainy area of the world ..I just wanted to let you in on something I discovered this morning while reading a fellow readers review and it is called Netgalley and you can request free book to read and what is better than free right ? so anyways just wanted you all to be informed so start hitting those keys and getting some freebies yeah !!!! and yes I am a member I mean who could not be ? take care all and go read something great and make it an awesome day . well now this lil goodie came in the mail today and it is waterman tender purple ink . I really love this purple as it is not over bearing or loud very much unlike me LOL ...nah not really I am a cool cucumber . I cant wait to write a letter with this awesome ink and hopefully it will be a happy letter .Okay everybody have a great weekend and have fun and stay safe . well what should appear in my mail box yesterday but some J Herbin ink and I had ordered these about a week back . The first bottle pictured is Rouge Opera and quite fitting since I love opera music and andre bocelli happens to be my favorite opera singer and is quite the cutie as well . The next one pictured is amber Burmanie which translates to Burmese Amber and it is a lovely gold color and really nice for fall . I want to make this clear I don't get paid for posting these reviews of these products I buy them and then I review and if I save someone some money then I have done my good deed for the day .
. I do believe it is a steal at its current price . this is a nice pen and Im not in any way being endorsed by any company for this glowing recommendation . I love the way it writes it is smooth . Now the flow of the ink could stand improving because I find that I sometimes have to take the pen body apart and feed the ink but it is not too often and im not sure that it is not the ink . . I felt it was high time I did a fountain pen review because I have been writing with them since what ? grade school ? yes sister Agnes you did a good job and im sure you are looking down from heaven with pride knowing that you did such a good job with all of your first teaching assignment and penmanship class . Yes penmanship classes they actually taught you how to write in those days and she also taught us how to compose a letter , friendly and business . Here is the picture of the pen and the color is red lava .